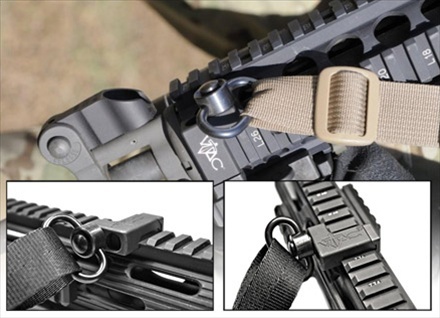 The Low Profile Sling Mount (LPSM) presents a lower profile on your weapon. VTAC-LPSM is designed to make the Heavy Duty Quick Detach (HQD) Swivel lock in and limit the rotation. The LPSM attaches to Picatinny rail. HQD sold separately.